Starring Diane Keen and Patrick Troughton, The Feathered Serpent is a story of murder, intrigue and political manoeuvring set amid the splendour and turmoil of ancient Mexico. This release comprises every episode of the children’s drama series from Thames Television, memorable for its spectacular sets and lavish costumes, originally transmitted between 1976 and 1978. Unbelievably, this used to be on in the daylight, when kids were still awake etc. Imagine what it was like watching it in the Autumn and Winter when it was getting dark at around 4.30, around the time slot this was broadcast. The intro was far worse, with flaming skulls floating around, superimposed over a blood red skyline (from what I remember) as an eerie soundtrack played out over the top. With scary voices chanting. It used to FREAK ME OUT. http://www.denofgeek.com/Reviews/200469/the_feathered_serpent_the_complete_series_dvd_review.html – The lovely Den of Geek review ‘The Feathered Serpent’. 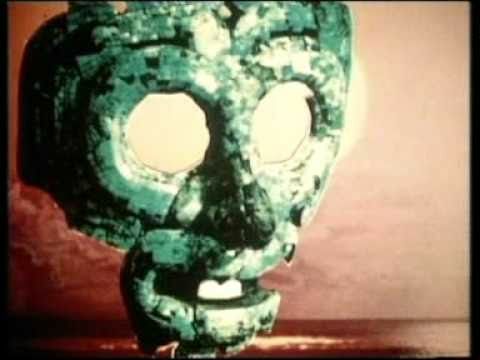 http://ftvdb.bfi.org.uk/sift/series/33226 – The BFI (British Film Institute) entry for ‘The Feathered Serpent’.